Joy Creek Photo Archive (c) all rights reserved Liatris elegans blooms early for us and is somewhat shorter than our other liatris forms. 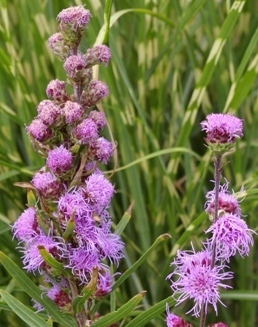 Purplish-pink fluffy bonbons bloom on open stems. Midsummer. 3 ft. x 18. in.